I’ve got that dull, lethargic feeling that comes with a lack of motivation. I’m partway through a number of projects but nothing is near completion and I’m not seeing the positive side of things at the moment. I started to write a book a couple of months ago but the process dredges up memories that I had long since put behind me. This is not the end of the world but that gnawing feeling seems to linger around and so I decided to take a break from it after hammering out 40,000 words. That was a month ago and now I can’t seem to pick it up again. I’ve also been busy filming on a number of projects as well and one, in particular, gave me the chance to meet the most inspirational person. As I’m not finished with that yet I will wait to show it to you in its full glory. Another project has taken some nice twists and turns in its development and now it looks like I have a clear plan for my next big adventure, however again I will share more details as they solidify. One project did get finalised, in the form of a little challenge that Raphael and I did last night — stand up comedy! What I like most about being friends with Raph is that he is just as up for silly things as I am. 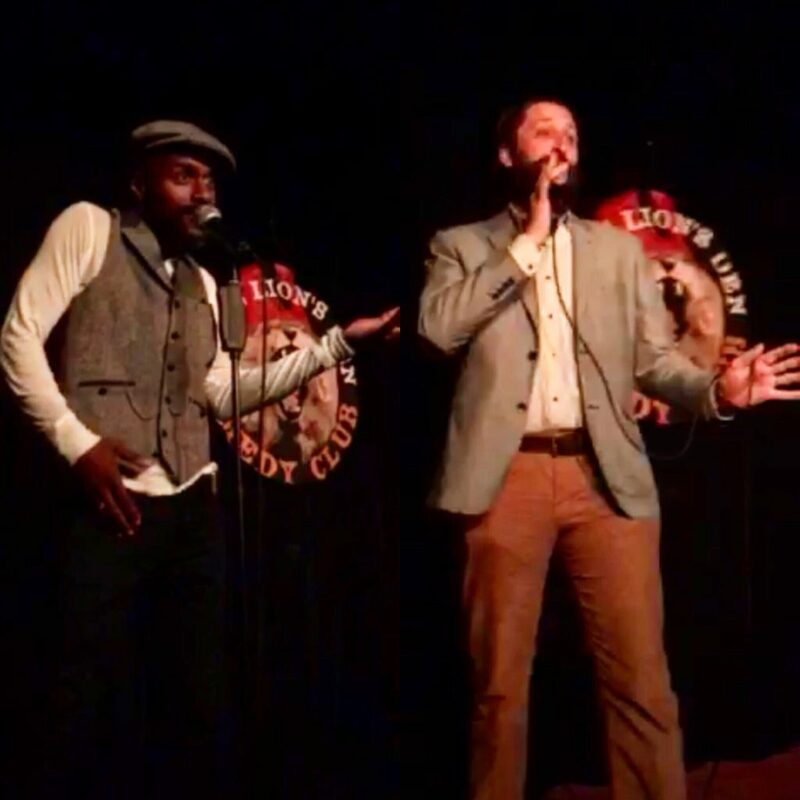 So when I challenged him to do an open mic night at the Lion’s Den Comedy Club he just shrugged and said ‘sure, why not’. That’s how it started, and last night the pair of us got up on stage and each did a 5-minute set. Neither of us knew what the other would say, nor had we done it before, and we just went for it. I won’t lie, I was nervous at the start. I’d ignored the anxiety in the weeks before, but I now could feel my stomach churning, although as it turns out, I shouldn’t have worried. I was first up in the second half of the evening, and the crowd (although not hugely impressed with my material, I think) were really positive and supportive. I even heard a chuckle or two. Raph had his stint shortly after me and again no one tried to drag him from the stage. What struck me most about the evening though was the number of other people that were also first timers, willing to get up on stage and just give it a go. Most people I know would never have had the courage to do that and it was refreshing to see that Raph and I weren’t alone in trying something new. It’s good to have a buddy that is game for an adventure, even if it’s not scaling some mountain or pushing your physical limits. Adventure can sometimes mean just doing something you wouldn’t normally do. Find yourself an adventure buddy, and challenge yourself to do something different.